WASHINGTON: Pakistan for years secretly approved of US drone attacks on its territory despite public denunciations, The Washington Post reported Wednesday, citing secret documents. The purported evidence of Islamabad’s involvement came as Prime Minister Nawaz Sharif visited the White House and urged an end to the attacks, which are widely unpopular with the Pakistani public. Pakistani support for drone attacks has long been widely suspected, although strikes reported by the Post involved several years up to 2011 — before a slowdown in strikes and Sharif’s election in May. The newspaper said that top-secret documents and Pakistani diplomatic memos showed that the Central Intelligence Agency had drafted documents to share information on drone attacks with Pakistan. The report by the Washington post comes just days after a separate UN report suggested that there was “strong evidence” that top Pakistani military and intelligence officials approved US drone strikes on Pakistani soil during 2004 and 2008. At least 65 drone strikes were marked for discussion with Pakistan, including through briefings at its embassy in Washington and in materials sent physically to senior officials in Islamabad. In one case in 2010, a document describes hitting a location “at the request of your government.” Another file referred to a joint effort at picking targets. The article — co-written by Bob Woodward, one of the two journalists who broke the Watergate scandal in the 1970s — said that the documents also showed that the United States raised concerns that extremists were linked to Pakistan’s powerful intelligence service. In one incident, then secretary of state Hillary Clinton confronted Pakistan about cell phones and written materials from dead bodies of militants that showed links to the Inter-Services Intelligence agency. In turn, a Pakistani memo gave the names of 36 US citizens believed to be CIA agents and urged the embassy in Washington not to issue visas to them, the newspaper said. 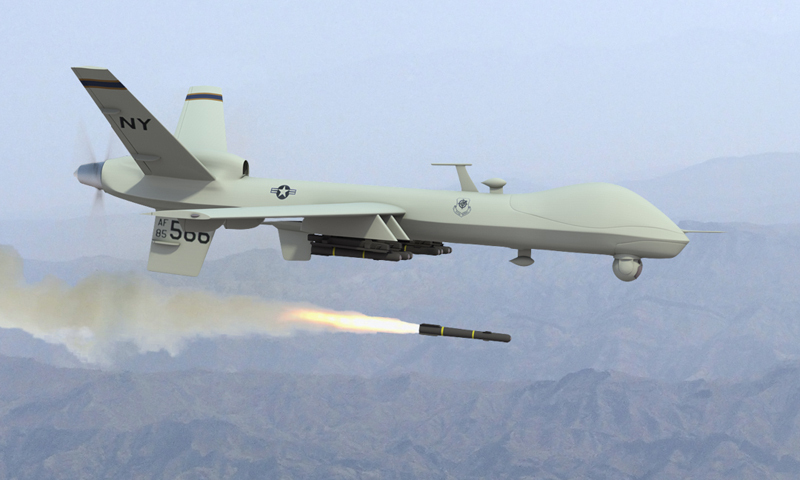 The report came a day after Amnesty International said that the United States may have broken international law by killing civilians with drones. It pointed to an October 2012 attack that killed a 68-year-old grandmother as she picked vegetables. For the first six months of 2011, 152 combatants were killed, according to a table cited by the Post that did not list any civilian casualties. The Obama administration has defended drone strikes as a better way to avoid civilian casualties, saying that it carefully selects Al-Qaeda-linked extremists in lawless parts of Pakistan. PAKISTANI ARMY always lies to its own Pakistanis that Drones do not fly from inside PAKISTAN. Shamsi Airfield, also known as Bhandari Airstrip, is an airfield situated about 200 miles (320 km) southwest of Quetta and about 248 miles (400 km) northwest of Gwadar in the Balochistan province of Pakistan. The airfield is located in Washuk District and nestled in a barren desert valley between two ridges of the Central Makran Range approximately 21 miles (35 km) southeast of the village of Washuk. Shrouded in secrecy, Shamsi was leased by Pakistan to the United Arab Emirates in 1992 for game hunting purposes and, between 20 October 2001 and 11 December 2011, it was leased to the United States for use as a base for joint Central Intelligence Agency (CIA) and United States Air Force (USAF) surveillance and drone operations (particularly those involving Predator drones) against militants in Pakistan’s Federally Administered Tribal Areas. 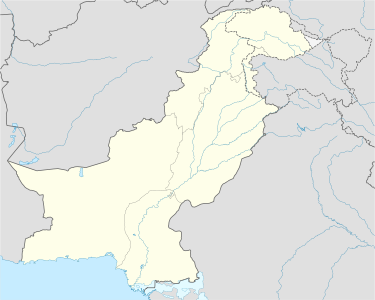 The United States was ordered to vacate the airfield by the Pakistani Government on 26 November 2011 after the Salala Incident in which US-led NATO forces attacked two Pakistani border checkposts in Pakistan’s Federally Administered Tribal Areas killing 24 Pakistan Army soldiers. The United States vacated the airfield on 11 December 2011. Satellite image of Shamsi showing Predator drones on a parking ramp. The disused Bhandari Airstrip was leased to the United Arab Emirates (UAE) by the Government of Pakistan in 1992 for game hunting, particularly that of falconry and rare Bustards in Balochistan province, by members of the UAE royal families. The airstrip, which was renamed “Shamsi” (meaning “Sunny” in Arabic) by the Emirati Sheikhs, was developed into a jet capable airfield by the UAE. At the request of the United States, Shamsi was sub-leased by the UAE to the United States on 20 October 2001 with the approval of then Pakistani Government of President Pervez Musharraf and was further developed jointly by the CIA and the USAF as a military airfield. The US constructed two permanent and one portable hangars at Shamsi for housing drones, in addition to support and residential facilities, and recarpeted the asphalt runway to enable its use by large and heavy military aircraft. On the night of 9 January 2002, a United States Marine Corps KC-130R refuelling aircraft crashed after hitting a ridgeline on approach to Shamsi, possibly due to crew disorientation, resulting in the deaths of all seven crew members on board. In February 2009, The Times (London) claimed that it had obtained Google Earth images from 2006 that showed Predator drones parked outside a hangar at the end of the runway at Shamsi. The Times investigation was in response to a statement by US Senator Dianne Feinstein that the CIA was basing its drone aircraft in Pakistan. The U.S. company Blackwater was also reported to have a presence there, hired by the government to arm the drones with missiles. The Pakistani Government had initially denied that the airfield was being used as a base for US military or covert operations but confirmed the same later. The New York Times cited a senior Pakistani military official as saying that in 2009 the drone operations were moved across the border to Afghanistan. On 13 May 2011, following the Abbotabad Incident of 2 May 2011, Air Chief Marshal Rao Qamar Suleman, Chief of the Air Staff, Pakistan Air Force (PAF) confirmed, in an in-camera briefing to a joint sitting of the Pakistani Parliament, that Shamsi was not under the control of the PAF, but under UAE control. In June 2011, Pakistan publicly ordered the US to remove all its personnel from the airfield. The United States and Pakistan announced a few days later that drone operations from the airfield had actually ceased in April 2011. On 26 November 2011, Pakistan ordered the United States to vacate the base within 15 days in response to the Salala Incident, in which US military aircraft attacked two Pakistani border checkposts 2.5 km inside Pakistani territory and killed 24 Pakistani troops. Although drone operations originating at the base had ceased in April 2011, the US was apparently still using the airfield for emergency landings and logistical support. On 4 December 2011, the first US military aircraft arrived at Shamsi to evacuate US military personnel and equipment. A total of seven US military aircraft, including C-17 Globemasters, landed at Shamsi in the coming week for evacuation purposes and US equipment and personnel were evacuated in 30 sorties. On 9 December 2011, soldiers of Pakistan’s Frontier Constabulary arrived at the nearby village of Washuk to position themselves to retake Shamsi. All roads to and from Shamsi were closed. Some US equipment was destroyed by the US military. The US finally vacated Shamsi on 11 December 2011 with two flights carrying the remaining US soldiers and equipment. Soldiers of the Pakistan Army, the Frontier Constabulary and officials of Pakistan’s Civil Aviation Authority immediately took control of the airfield. A photograph of the airfield taken on 11 December 2011 and officially released by the Pakistani military’s Directorate of Inter-Services Public Relations and published in the British The Telegraph newspaper shows Pakistan Army soldiers and a Pakistan Army Mil Mi-17 helicopter at Shamsi shortly after the US vacated the airfield. THANK YOU Qasim for this SEARCH. Second Video is about FRAUD Marriage ads in Newspapers !